One man's passion to finally become the proud owner of an Amati violin, becomes intricately involved in the lives of three other people on board a passenger liner en-route to Australia in 1885. 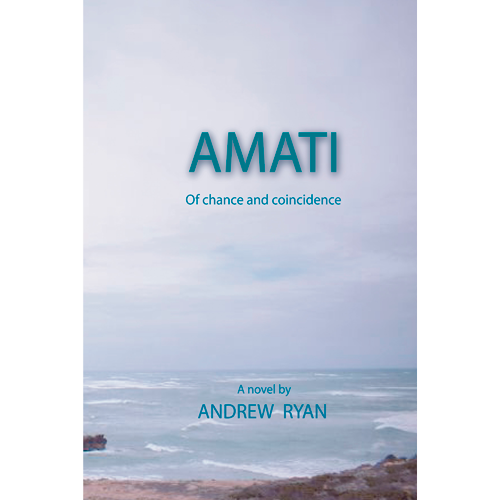 This first novel in the Amati series dramatically, yet poignantly illustrates how one man's passion to finally become the proud owner of an Amati violin, becomes intricately involved in the lives of three other people on board a passenger liner en-route to Australia in 1885. Set against the strict soul-crushing modes of the nineteenth century, it reveals how two people in love, strugle to find the courage to freely exercise their right to personal expression in a society hostile to change. Fear of being humiliated for side-stepping the accepted rules of social behaviour, a dying man's life-long wish to be reunited with his family, and the benevolent compassion of an Australian widow, combine to illustrate how chance and coincidence so easily, yet subconsciously, weaves it's way through each of the characters' lives, thus forming the fabric of this haunting and powerful drama.